Miron Construction Co., Inc. is pleased to announce the promotion of Tony Creten to vice president of Wausau operations. 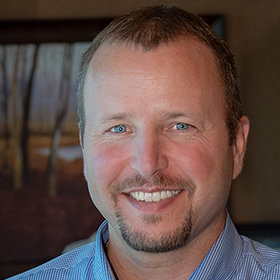 In his new role, Tony will manage Miron’s Wausau office and lead Miron’s efforts across all markets throughout Miron’s Northern Wisconsin operations. Prior to his promotion, Tony held the position of project executive and previously served as a project manager, both for Miron. He has more than 20 years of experience in the construction industry and has been responsible for managing the construction and close-out of numerous multi-million-dollar projects for many prominent clients. Tony is a graduate of Michigan Technological University with a B.S. in Civil Engineering — Construction emphasis. Tony is licensed in the State of Florida as a Certified General Contractor through the Department of Business and Professional Regulation, received certification from the Wisconsin Healthcare Engineering Association (WHEA), and is a LEED Accredited Professional.